The Gulmay CF series of high-voltage x-ray generators is designed to partner the 1800W range of high-power, small focal spot x-ray tubes. The CF series is available in a wide range of output voltage configurations from 50KV to 450KV. 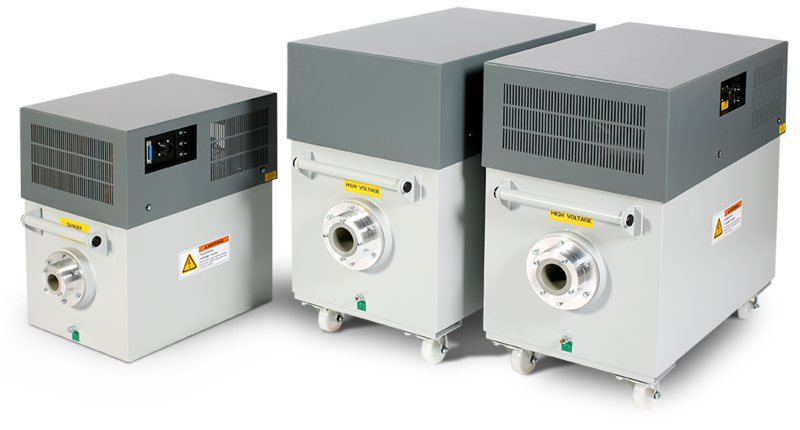 CF series generators are designed to offer a cost-effective solution to powering high-power small focal spot x-ray tubes by perfectly marrying the 1800W power output of the tube. Operating at 45KHz and using Gulmay’s variable frequency technology, the CF is an efficient and versatile generator ideal for a broad array of applications including CT, gauging, precision calibration and a range of real time NDT inspection. The CF series incorporates an accurate feedback system that constantly monitors the x-ray tube mA and KV to ensure precise and stable output. The generator status is monitored by the internal electronics to maintain safe and reliable operation. A choice of analogue or digital controls is available to facilitate simple integration into automated inspection systems. The digital control supports RS232, RS422 and Ethernet interface protocols. The oil-filled high-voltage system provides greater thermal dissipation than resin-filled designs, increasing reliability and ensuring both a 100% duty cycle and full field serviceability. In addition to the high power range of x-ray tubes the CF Series is compatible with x-ray tubes from all leading manufacturers.